Do You Need A Wills And Trusts Attorney? A living will, sometimes called an advanced directive, provides directions for your loved ones and health care providers as to your wishes concerning your end-of-life medical care. It is an important part of estate planning and is a written statement of your wishes. It is different from a health care proxy in that it does not appoint an agent on your behalf, but instead allows you to express your wishes in case of a medical emergency. We can equip you with a highly experienced wills and trusts attorney. It’s important that everyone over the age of 18 have a living will. It’s important that everyone over the age of 18 have a living will. Even if you do no other estate planning, a living will is necessary to ensure your loved ones know what to do should you face the unthinkable. Many people have both a living will and a health care proxy to ensure loved ones and health care providers have comprehensive guidance concerning their wishes. Though living wills and other documents regarding medical directives are often arranged during estate planning, they are different from a last will and testament, do not involve asset distribution, and must be separate from a person’s will or other estate planning tools. You should have a wills and trusts attorney ensure a living will is constructed properly. You can revoke a living will at any time, so if you were to change your mind about the type of care you would want at the end of your life, you are legally entitled to make changes to the document. Living wills can become effective immediately or at the point in which you are no longer able to communicate your wishes. For the most part, living wills allow your health care agents and medical care providers to determine what life saving measures should be taken, if any, should you become incapacitated. Authority granted through a living will ends with the death of the principal, except for decisions regarding autopsy and organ donation. Wills and trusts are similar in that they are both estate planning tools. They can be used alone or combined to create a comprehensive plan for an estate. Wills only become effective following a person’s death, whereas trusts are effective at creation. Wills direct the distribution of property upon death and appoint someone to oversee this process, whereas trusts can distribute property prior to death. Trusts cover only what is in the trust, whereas wills cover all assets owned solely by the will’s creator, but not jointly owned property or property in a trust. 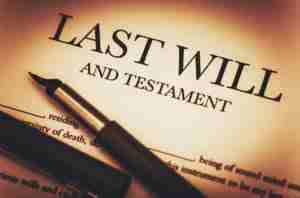 Wills are subject to probate, whereas trusts do not require court oversight. New York’s probate court is known as the Surrogate’s Court. You can learn more about the court at the website for the New York Unified Court System. Wills are public record, whereas trusts are private. Each has its own advantages and disadvantages. Your wills and trusts lawyer can explain these and help you determine which, or if both, of these estate planning tools is the best choice for you. In general, trusts provide many of the same benefits as wills, but also offer privacy and probate advantages. However, trusts tend to be more complicated and cost more to create. Setting up a trust and funding a trust are two separate processes – you’re required to transfer your assets to the trust once it’s created through separate paperwork. You must also make the trust the beneficiary of your life insurance policies. A will is simpler to create, but it might not meet all of the needs of your estate. Some people find that both a will and a trust are necessary. The only way you can know for sure is to review your assets with an experienced wills and trusts lawyer and discuss the way in which a will and a trust would affect the estate. Experience and knowledge greatly help with defining a proper will or trust. If you you need to hire a New York wills and trusts attorney with required necessary expertise, contact us below!